Farmer Frances has a lot of cows, but only some of them need to be milked. 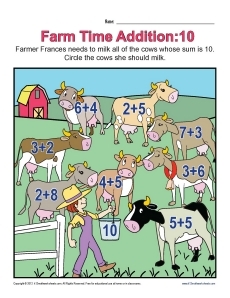 Each cow has an addition problem and only those whose sum is 10 will be milked. It's a "smoooooth" way to practice math!